Public Pay and Play - Everyone is Welcome! 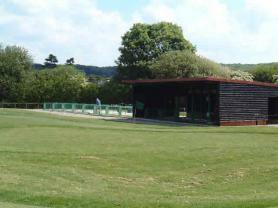 Hobbs Cross Golf Centre, near Epping, opened for play in August 1997. In that short time it has earned a reputation as a great course, well maintained with an open welcome to all, from complete novice to experienced players. The centre is very much a public facility - open to all. There is no membership, no booking - just pitch up and play! Whatever your golfing ability, if you have never even played before or are a professional, we take pride in providing you with a warm welcome and all the facilities any golfer will need to learn, play and enjoy the game. We take great pride in providing some of the best designed and maintained golf facilities and the friendliest welcome the area has to offer. Come and try for yourself - just pitch up and play! Because of the unusual configuration of a full length and a par 3 nine hole course we do not have booking times. Some golfers wish to play 9 holes, some 18 on one course, some 18 as a combination, depending on their time availability, weather etc. The no booking policy also means you have flexibility and you are always guaranteed a tee slot even if you or your partners are delayed. The same applies if you decide at the last minute you want a game - we can always accomodate. Should you be new to the game, visiting friends, or just find yourself without equipment for whatever reason, we can provide you with everything you may need. Please see the Green Fees page for Equipment Hire Charges. We try to encourage people into the game, not to put them off with overbearing rules and regulations but we do have some we have introduced and maintained to try and ensure everyone's enjoyment and safety on the golf course. The usual golf dress code applies, but training shoes as well as golf shoes may be worn. We would ask that golfers refrain from wearing jeans, jogging bottoms , football or athletic shirts or vests. It's golfers only on the course, therefore no spectators or caddies etc and the sharing of clubs is discouraged as hire clubs are available. Last tee off approx 2hrs before dusk. Please contact the clubhouse for more details, as the opening/closing times change through the year.